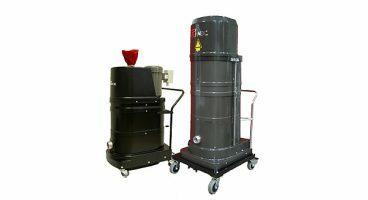 Ruwac recognizes the seriousness of the potential deadly hazard found in combustible dust or conductive metals, and offers a complete line of explosion proof vacuum systems ETL Certified to UL and CSA standards for Class I, Div 1, 2, Group D and Class II, Div 1, 2, Group F & G, and ATEX Zone 22 compliant. Featuring fully grounded, static dissipating designs that are guaranteed to be spark-free, our explosion proof vacuum cleaners are made in the USA from the highest quality materials that can be custom fit to your needs. Ruwac's portable pneumatic explosion proof vacuum cleaners are designed especially for combustible dust and hazardous locations. While there are no certification standards for pneumatic explosion proof vacuums, Ruwac’s FRV series vacuums are self-certified to UL, CSA and ATEX standards that apply for electric machines (with the only difference in construction being the replacement of the electric explosion proof vacuum motor and switch with our stainless steel venturi.) Our air powered explosion proof vacuums are the safest alternative power explosion proof vacuum cleaner for use in Class I and Class II environments. 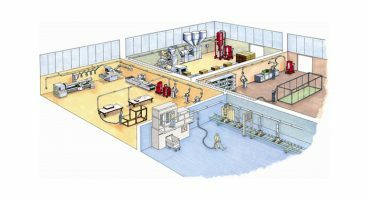 Ruwac designs and builds custom explosion proof vacuum central systems based on your needs and application. 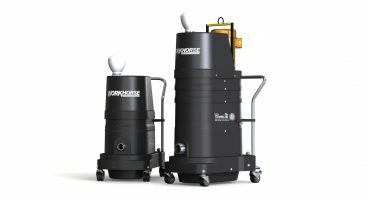 Single or multi-user, single or multi-stage and multi-purpose workstations are designed to utilize up to 250 horse power with a variety of filtration and containment options. Components are available from 2” to 12” in diameter to meet any application while our stainless steel tubing is available in wall thicknesses of 11 - 20 gauge. We match cloth to air ratios to reduce premature filter clogging and provide explosion venting and suppression systems. Whatever your application, we will work with you to provide a cost effective solution to your vacuuming needs. 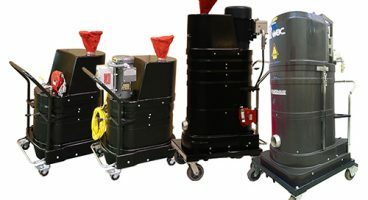 Class II, Division 2 explosion-proof vacuums by Ruwac include single and three phase portable continuous duty vacuums that are a powerful, portable solution to removing ultra fine dusts and larger particles while keeping your facility compliant to NFPA recommendations for the safe collection of combustible dusts. 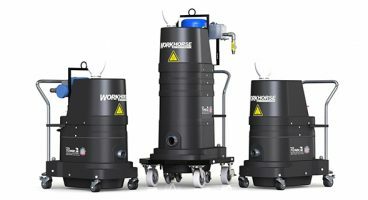 These explosion proof vacuum cleaners meet NFPA 652 and 654’s minimum requirements as permitted to be used to collect hazardous dusts in unclassified areas. They are fully bonded and grounded, fully conductive, and feature TEFC motors that have zero contact with dust-laden air as well as an oversized anti-static cloth filter. 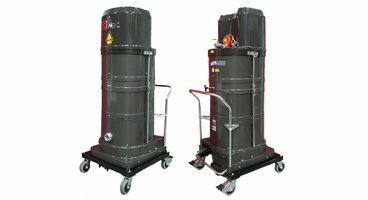 When performing heavy pickup of materials in and around production equipment and storage areas, Ruwac’s DS2-EX Series portable electric explosion proof vacuum cleaners and their exceptional cleaning power, durability and safety have made them the vacuum of choice for combustible dust everywhere. Manufactured in the USA under strict quality control in our ISO 9001 registered plant, Ruwac’s electric explosion proof vacuums are intrinsically safe with all parts and components fully grounded, static dissipating and guaranteed to be spark-free. Every one of our electric explosion proof vacuums are certified to Class I, Division 1 & 2, Group D and Class II, Division 1 & 2, Groups F & G requirements and ATEX Zone 22 compliant for use in hazardous locations. Electric models are ETL third party certified to UL and CSA standards. Ruwac USA is proud to manufacture FRV series explosion-proof vacuums which are made in the USA. The FRV Series vacuum have become the vacuum of choice for combustible dust everywhere due to its exceptional cleaning power, durability and safety. All our vacuums are made to withstand high temperature, non-combustible materials, and industrial applications. Entrust your industrial vacuums from Ruwac today for long-lasting, durable, American-made products.